Actor Robert De Niro, a frequent critic of President Donald Trump in the past, devoted his time onstage during Tuesday night’s National Board of Review awards gala to attacking the president again. His harsh words ─ including “j----off in chief" and “f---ing fool” ─ came during De Niro’s speech introducing actress Meryl Streep, who plays the late Washington Post publisher Katharine Graham in Steven Spielberg’s newspaper drama “The Post,” which took home the award for best picture. “Today the world is suffering from the real Donald Trump. Come on. You know. What are we talking about? This f---ing idiot is the president. It’s the Emperor’s New Clothes – the guy is a f---ing fool,” according to a transcript obtained by The New York Times. 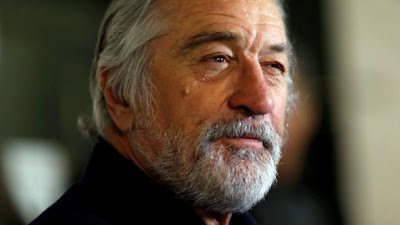 The 74-year-old star of such films as "Raging Bull" and "Goodfellas" compared Trump's administration to that of President Richard Nixon, which challenged the New York Times and Washington Post over the publication of the infamous Pentagon Papers. “Our baby-in-chief – the j---off-in-chief, I call him – has put the press under siege, ridiculing it through trying to discredit it through outrageous attacks and lies,” De Niro said. In the past, the actor has made several disparaging remarks directed at the president, telling Deadline in August that Trump was "dangerous" and should not "have gotten into the position that he's in." De Niro also lashed out against Trump in an October video, where he said he’d “like to punch him in the face." Spielberg also voiced his concern about the current climate between journalists and the White House – albeit, in a much subtler way. "We are in a fight and it's a fight not just about alternative facts but it's a fight for the objective truth," Spielberg said after accepting the award for best picture. "President Obama said in a recent interview, 'It's not that democracy is fragile, but it's reversible.' I wanted to do more than just sit down and watch television and complain to (wife Kate Capshaw) and my kids about what's happening to our country."